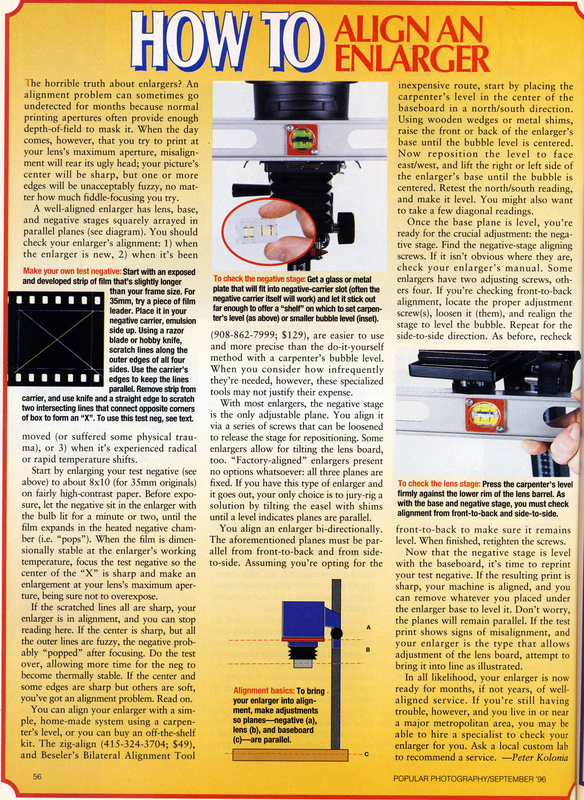 This article originally appeared in the magazine Popular Photography, September 1996. This is probably the last time they ran this tutorial. At the moment I'm too lazy busy to type it out here, but if you click on the image you'll get a 300dpi version that's very legible and easy to read.